Being the parent of a child who has suffered a spinal cord injury is an incredibly stressful position to be in. The desperate desire to secure the best care for your child is often complicated by the legal and insurance ramifications a disability brings with it. Moreover, the sheer amount of available information often doesn’t do much to help clear up exactly how to proceed either. Thankfully, we’ve compiled a one-stop guide to the basics of what you need to know to help your child get the care and schooling he or she needs to maximize the chances of recovery. 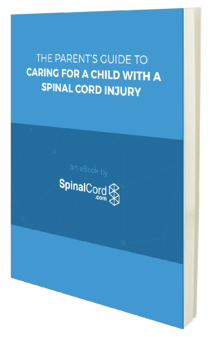 With our guide, you’ll have everything you need to know about the distinctive challenges of caring for a child with a spinal cord injury. These are just a few of the topics covered in this in-depth look at how you can help determine and shape the level of care your child receives to address the devastating injury already suffered. Ready to get your child on the road to recovery? Download our free eBook by filling out the form to the right. When it comes to injuries of this magnitude, time is a factor. So don’t delay!